Unless I’m a high-charisma guy in Fallout Shelter and am in the Living Quarters 100% of the time and am somehow immune to Deathclaw attacks. As far as mobile games go, this one’s not too bad. The player is tasked with maintaining and expanding a vault in the wasteland of the Fallout Universe, providing resources for the inhabitants while also preparing them for the dangers posed by external threats. As more and more vault dwellers are born or recruited from the wastes, larger threats more regularly pose problems, but increased production or specialization options also become available. One of the best things about this game is time requirements. Instead of needing to wait hours to see results for everything, it’s only a matter of minutes for resources to be produced. If things are staggered neatly, you’ll constantly be harvesting, upgrading, and aiming for peak efficiency. The best part of this is that it doesn’t leave room for cruddy microtransactions aimed at cutting down the time it takes, similar to what you’d see in many other mobile games. The only available microtransactions actually provide random loot, so it feels completely optional. Of course, this game has several issues. Once you reach a certain point – generally, when you’ve reached 100 dwellers and unlocked all room types – there isn’t much motivation to keep going. There will be plenty more room to work with, but the constant Deathclaw attacks and lack of unique goals make it all feel pointless. In addition, there is no way to create weapons or armor, so it all needs to be scavenged from the wasteland. As a whole, it’s a decent little game. It’s free, it’s enjoyable up until the point where you “win,” and the microtransactions feel completely optional. It’s not much more than a little time-waster though. Recommendation – If you’re looking for a simple time-waster that won’t demand your money for microtransactions, give it a shot. The 2013 reboot to the Tomb Raider franchise brought Lara Croft back to the forefront of gaming. Of course, I didn’t play it until about two years later. And it’s the first Tomb Raider game I’ve played. I never saw the movie either. So I guess the history of the franchise doesn’t really matter here. Anyways, it’s an interesting adventure game, combining survival, exploration, and gunplay within the focus of Lara and co.’s exploration of an island and its lost history. 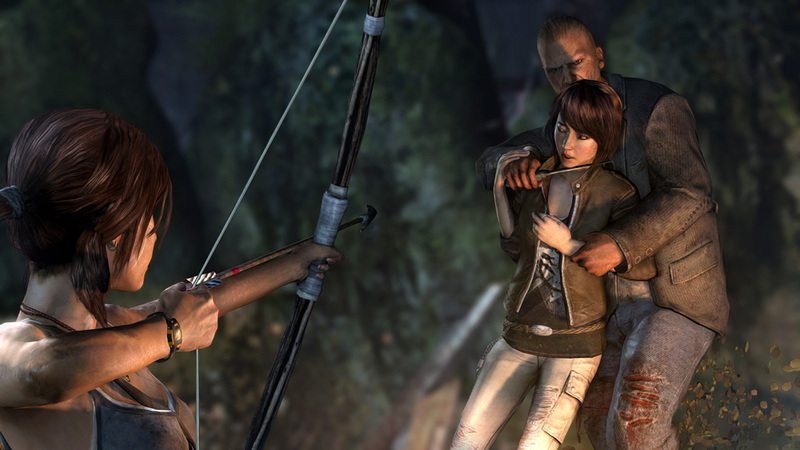 The story doesn’t reinvent the wheel, but does a good job of showing Lara at her origins. Sort of. She kind of just made a quick transition from archaeologist to badass. For the stunts she pulls off, she must have a six-pack of legends. The main fault of the game is that the gameplay elements don’t fit together as smoothly as they could. While introduced early on, the survival element of the game – hunting for food and what-not – becomes completely irrelevant shortly thereafter. While there is a bit of exploration to do, the only interesting part is the tombs. However, even these are a bit too straightforward, with only a single puzzle stopping your advance to the end. Beyond these, “exploration” is just a matter of searching for and picking up boring collectibles. The shooter aspect of things is pretty solid, but never too interesting. You can take a stealth approach to many situations, but more often than not a gunfight feels like a waste of time halting your progression through the story. But at least it’s better than the excess of quick-time events strewn throughout the game. I definitely enjoyed the game, certainly enough that I’m considering playing the sequel when it comes to PS4. At least it’s currently being bug-tested on the Xbone. 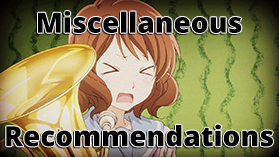 Recommendation – If you like action-adventure games, it’s worth trying out. Since I have a lot to talk about with this game, I was originally planning on writing up a full post. However, I don’t know if I’ll ever actually finish playing it. I’m about 10 hours in (although it feels like three times that) after playing sporadically for the last year or so, and the only factor that draws my attention back is the story. So I’m going to keep this simple, and focus only on the most important details. First up is the battle system, which has two halves to it, one obviously being the actual battle side of things. It’s a turn-based system, but rather than choosing commands as a party member’s turn comes around, you queue everyone’s commands in advance, then the full turn order will play out. It’s extremely slow, and there are something like 17 different element/physical/status types without any clear distinction of what’s effective against what, but it works. My favorite part is the combo attacks, where two or three characters can combine certain elemental attacks for increased damage or a wider area of effect. The other half of the battle system is by far my biggest issue with the game – it’s not an understatement to say it’s one of my least favorite features of any game I’ve played in recent memory. Instead of engaging enemies in battle, you have the option to “converse” with them. Each enemy (with a few exceptions) will react differently to different forms of communication – you can anger them, scare them, and so on. This is accomplished by doing things as ludicrous as impersonating a motorcycle, singing, or putting on a comedy act. Each command is brief on its own, but you need to do it over and over and over and over again if you want to get new Personas, relying entirely on your memory or a guide for what commands are effective for which enemies. And unlike games such as Undertale, where you can choose either a pacifist or aggressive stance for the entire game, Innocent Sin requires both – you need to use the contact system in order to get new Personas, and you need to fight enemies to level up and progress in the game. This system is one of the most tedious things I have ever experienced. Add in the high encounter rate nearly anywhere, and it’s practically insufferable. The story is the single beacon of light. The main concept – rumors becoming reality – is certainly interesting (even if the attempt to integrate it into gameplay is lackluster), and the general mystery of the story easily draws attention. On the other hand, Personas being treated as normal, or demons being encountered in places as mundane as an everyday school, feel rather silly in an otherwise realistic setting. It’s not like P3 and P4 where there was a clear distinction between normal reality and the Shadows’ realm(s). As with Innocent Sin, I haven’t finished this game yet, although for completely different reasons. To clarify ahead of time, I was playing the remastered version for the Vita. Stylistically, this game is very cool. The music and visuals work together to create a very unusual yet interesting world based in film noir and Aztec afterlife mythology. The humor is more of a tongue-in-cheek style over anything uproarious, but it fits in well with the story and characters. From a gameplay perspective, it is much less interesting. 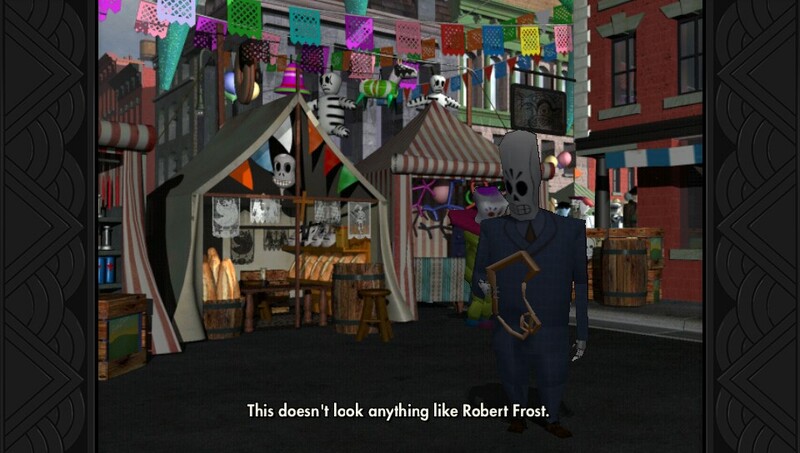 It’s a point-and-click style adventure game, where the main strategy is to use everything you find on everything in the environment in every conceivable combination in order to advance. Many situations have rather arbitrary solutions, where the seemingly obvious ideas won’t work for some contrived reason. If you’re able to move along at a consistent pace though, it’s not too bad. However, my main roadblock for completing the game comes from something completely unrelated. On multiple occasions, saving my data either froze the game, or save files would seemingly vanish – at one point, three consecutive saves just disappeared for no apparent reason, setting me back a lot. I’d hope that this issue has since been fixed (I had the issue not too long after release), but either way my motivation to continue was absolutely snuffed. Hopefully I’ll jump back in eventually, but maybe I’ll try the PS4 version to see if I can avoid such problems. Recommendation – If the old-school adventure game style gameplay doesn’t sound like a negative, give it a try. First off, you can see my full review for Bloodborne here. This little post is just focusing on the newly released The Old Hunters DLC expansion for the game. No spoilers or anything. Story-wise, this expansion adds quite a bit of backstory regarding one faction – the Healing Church, along with members including Ludwig, Laurence, and more. But in true From Software fashion, it’s not as straightforward as you might wish it was. There’s plenty of stuff to see and there are several hours of content to play through, but the new lore doesn’t quite fill in blanks from the base game – there is no doubt that it raises more questions than it answers. But beyond the new story and lore, there is plenty of other content – several new trick weapons, a few new firearms (and even a certain type of shield! ), new covenants/oaths, new NPCs, new enemies, new bosses, and new areas! Sort of. You’ll see what I mean if you play it. But above all else, the expansion adds one hell of a challenge. The DLC is probably harder than everything else in-game besides maybe higher-level Chalice Dungeons. You can access it relatively early in the story, but the difficulty spike is pretty extreme if you don’t wait until around the end of the game to do it – I started it at around level 55 and was annihilated by nearly everything while dealing minimal damage. The bosses especially are punishing and more difficult than nearly all those in the base game. I’m not saying the difficulty is a bad thing though – after completing the game a few times, having something more challenging to tackle is definitely what I wanted from this. Some of the ways it’s done are less than ideal though. There’s one douchey little corner where you’ll come across a hunter, a bunch of Old Yharnam’s cretins, and a Blood-Starved Beast. All at the same time. With minimal lighting. At least it’s not necessary. Rating – It’s kind of silly to give the DLC a rating by itself, but I’d give the game as a whole, taking the DLC into account as part of it, a strong 8/10. 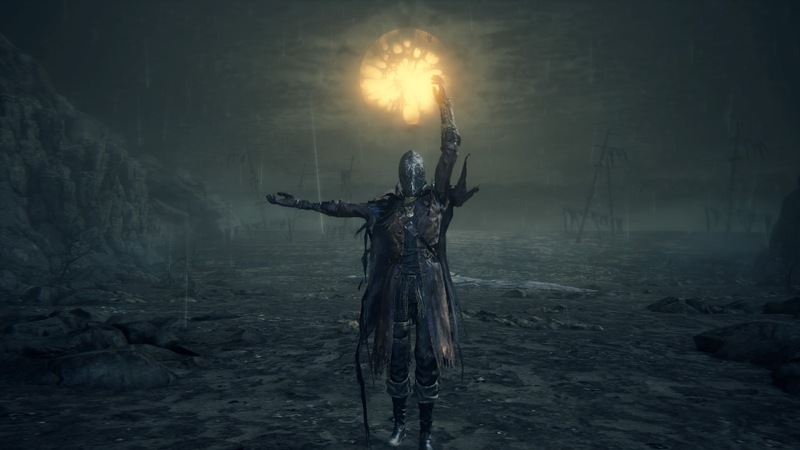 Recommendation – If you enjoyed Bloodborne, definitely get the DLC. If you haven’t played the game yet, get the “Complete/Game of the Year” edition which includes the base game plus the DLC. Although I love Persona 3 and 4 I can’t get into the older games due to the clunky combat either. I commend Fallout Shelter for not pressuring you to buy microtransactions, but I didn’t enjoy it. I’ve never actually tried the first Persona game. 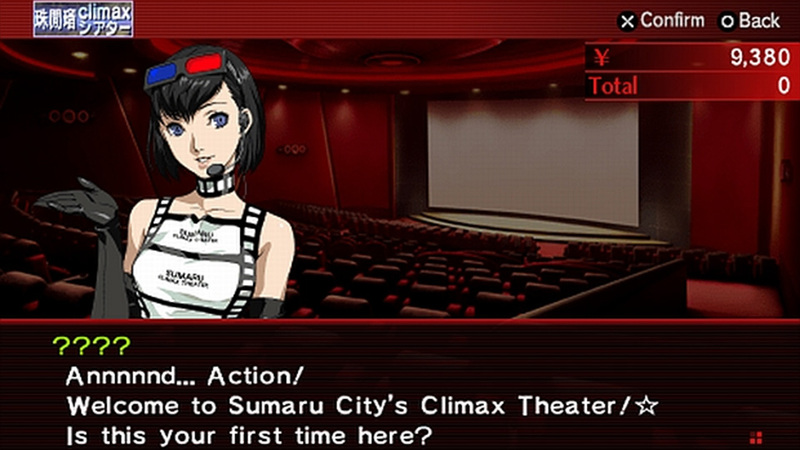 I never heard anything good about it, whereas tons of people praise Persona 2’s story. 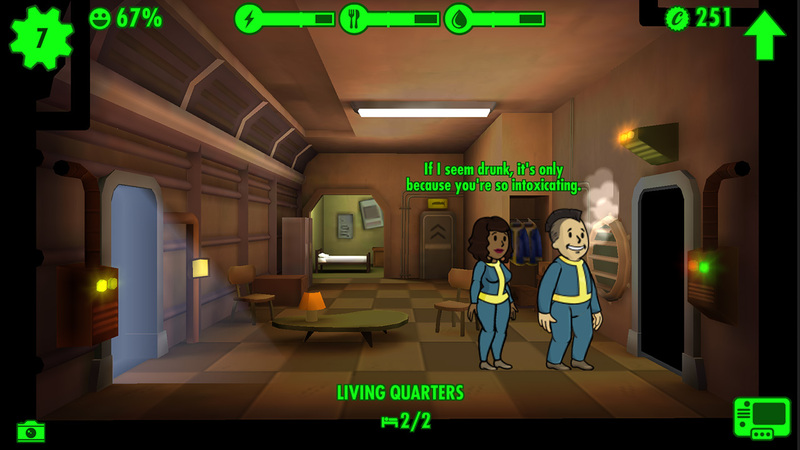 As for Fallout Shelter, yeah, it’s the kind of game that’s okay for a little bit, but the appeal wears off pretty quickly.